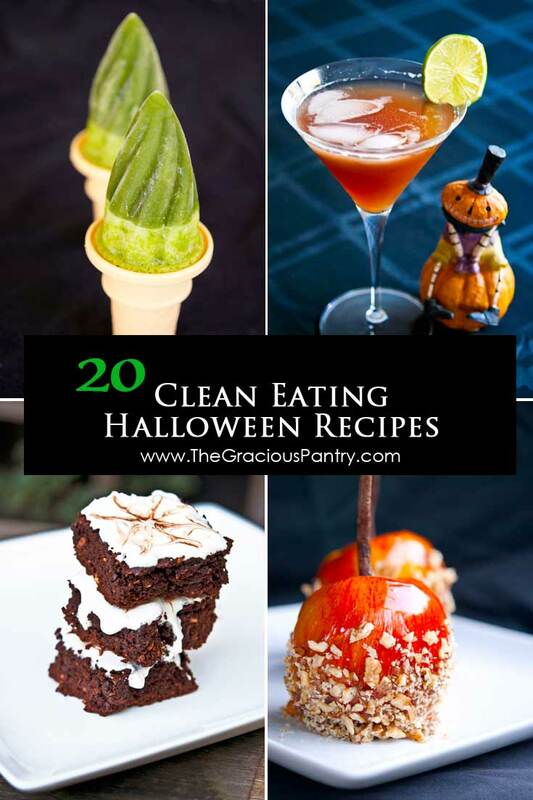 These spooktacular clean eating Halloween treats are a great way to celebrate Halloween without all that junk! I know, I know. The bowls of candy are everywhere you go. It’s impossible not to grab a piece at every stop as you work your way through your list of errands. But I’m here to tell you, it doesn’t have to be that way! Yes, it’s free candy, and no, a small amount isn’t going to end you. But when we indulge over and over again, those single pieces here and there can really add up! So if you are looking to enjoy festive food this Halloween, give these healthier options a try! Some of them are great for taking into the office and I’m sure many of your office co-workers will be grateful for the break from the candy. After all, if you eat enough of it, you really start to feel yucky. It’s great to have healthier alternatives! So go ahead and celebrate this year! Be festive and enjoy the holiday! I promise, you’ll feel better when it’s over if you stick with real food.